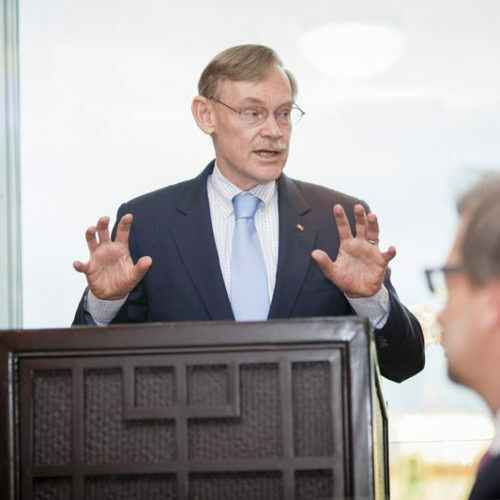 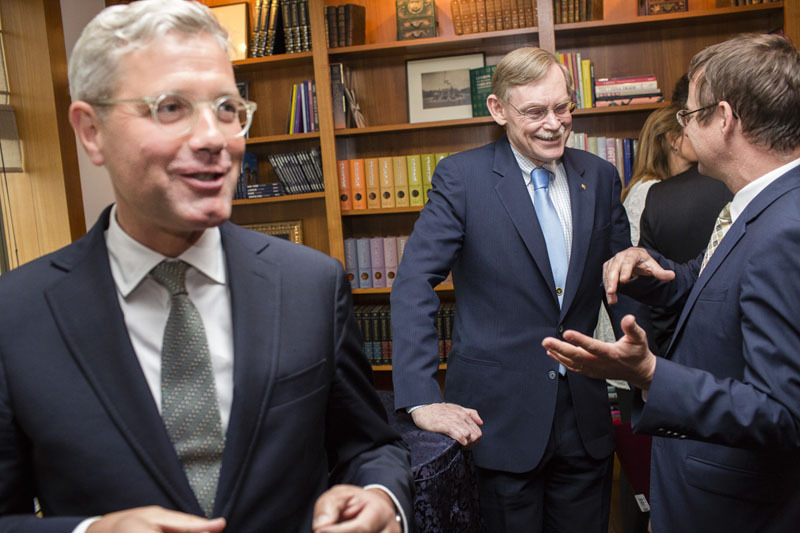 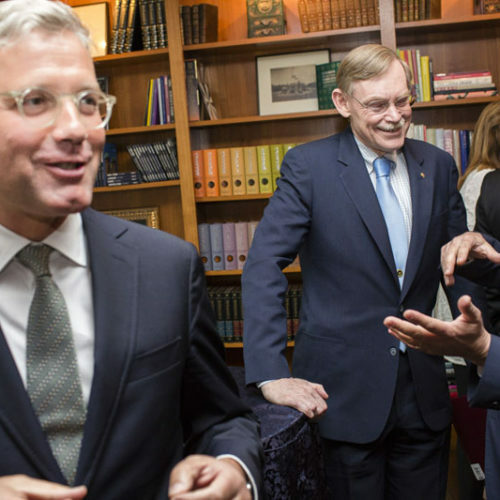 Talk with former World Bank President Zoellick - Atlantik-Brücke e.V. 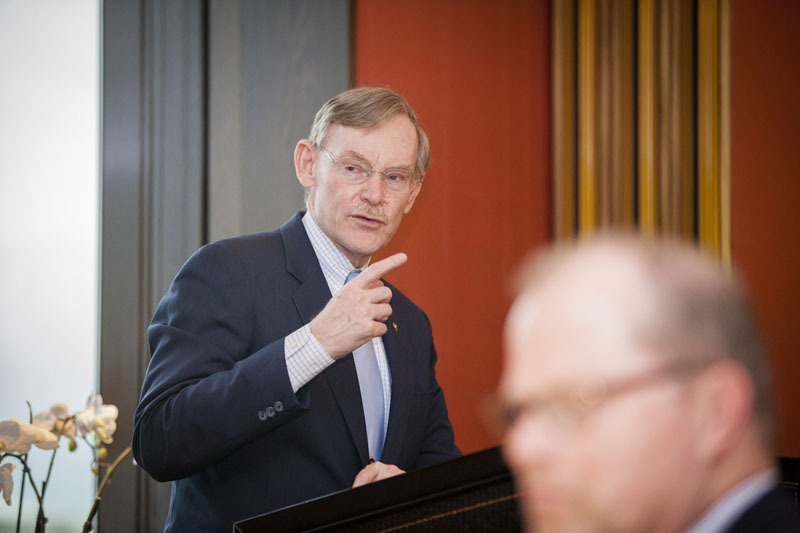 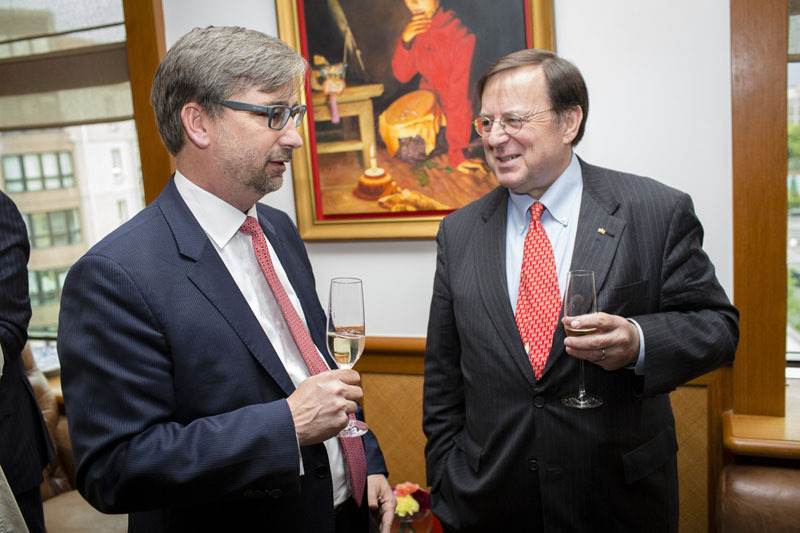 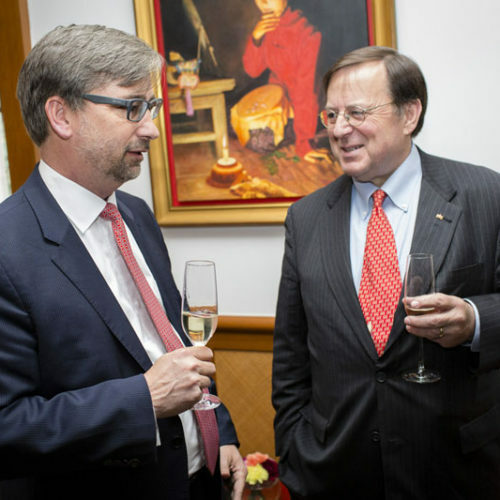 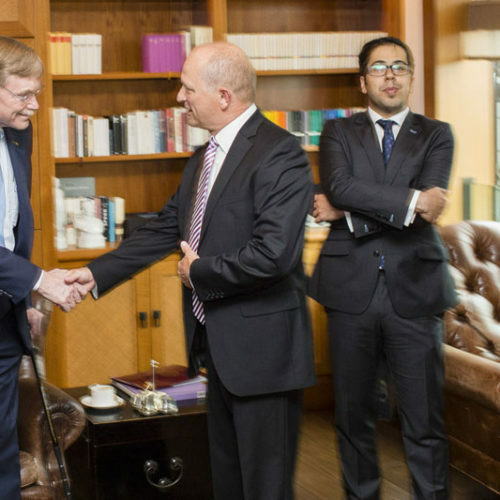 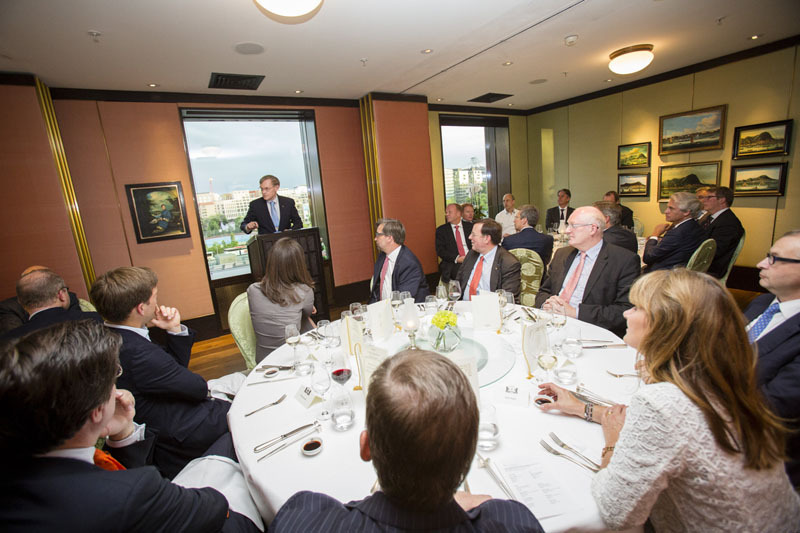 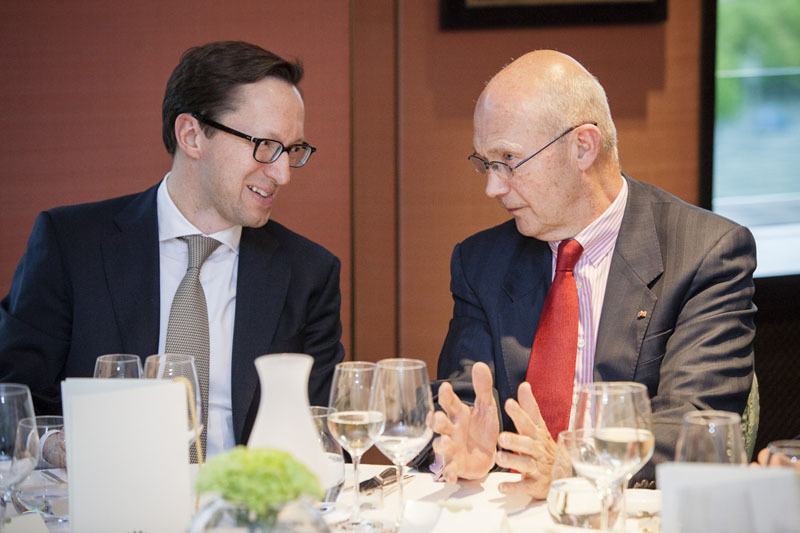 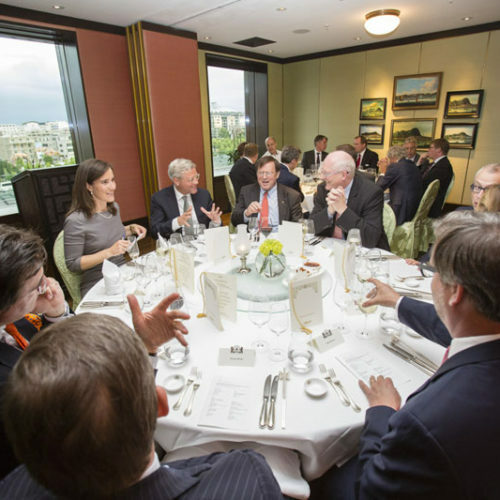 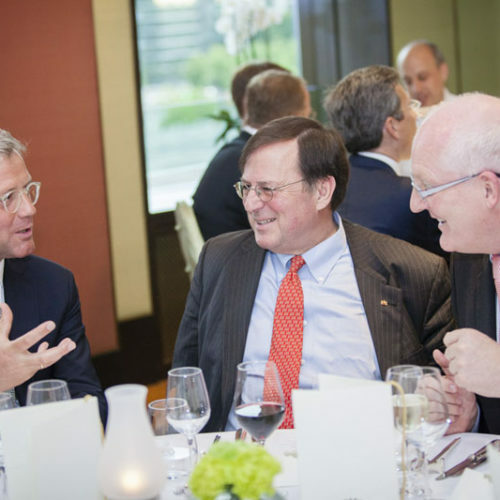 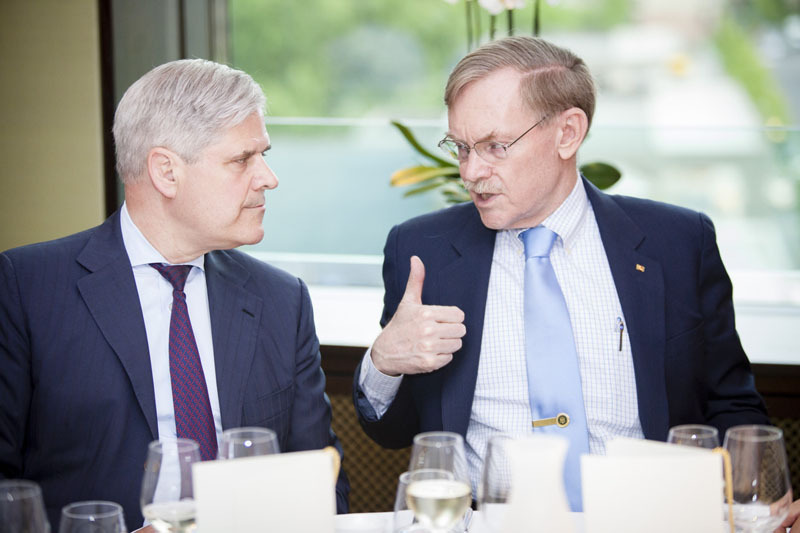 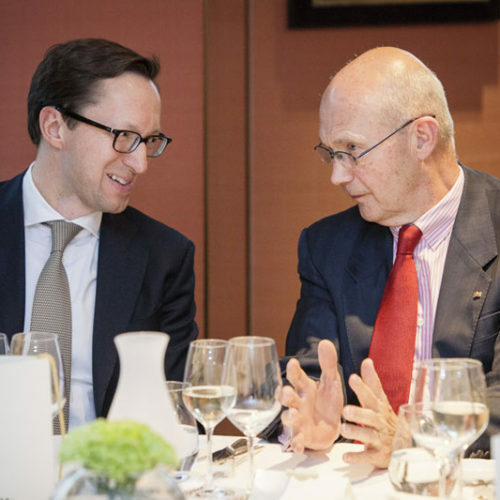 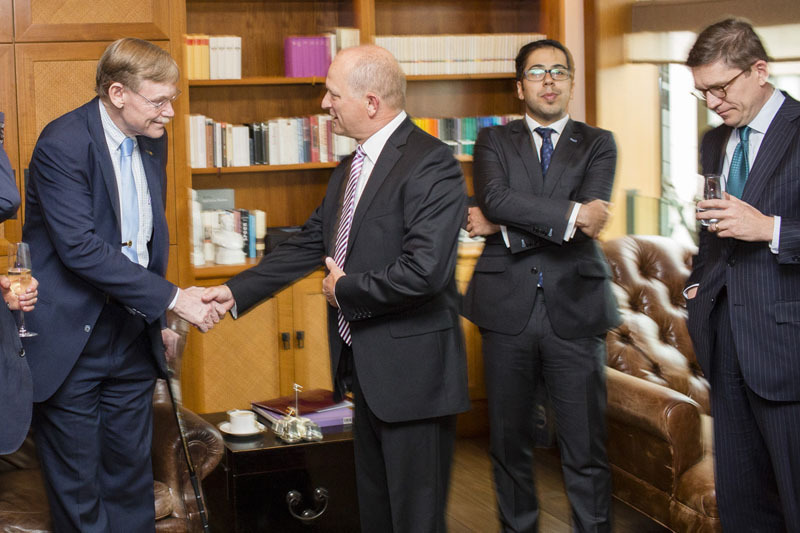 The free trade agreement TTIP, currently under negotiation between the United States and the European Union, was the topic of a discussion in Berlin on June 9 with Robert B. Zoellick, former President of the World Bank. 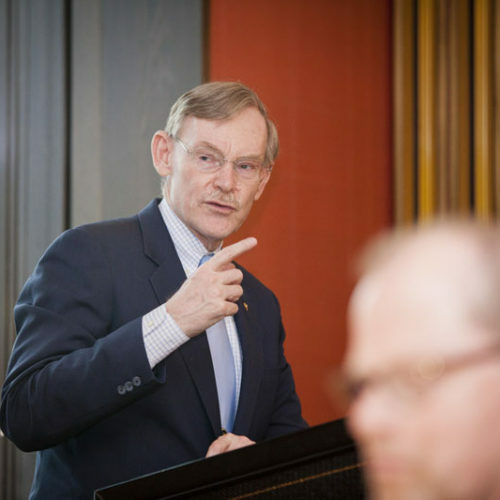 Zoellick, whose many high ranking positions also included that of United States Deputy Secretary of State and as U.S. Trade Representative, is currently Chairman of Goldman Sachs’ Board of International Advisors. 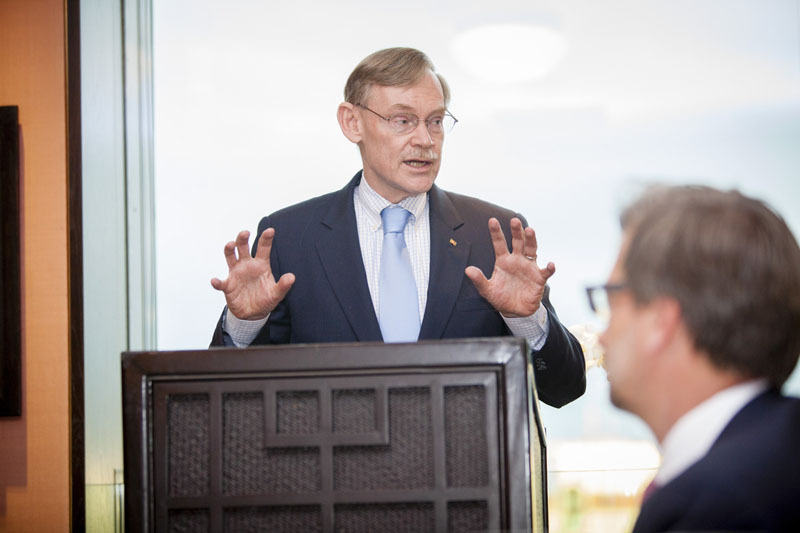 In his speech, he emphasized the historic dimension of transatlantic relations: He elaborated on the Two-plus-Four Treaty which he was involved in developing and that was signed 25 years ago. 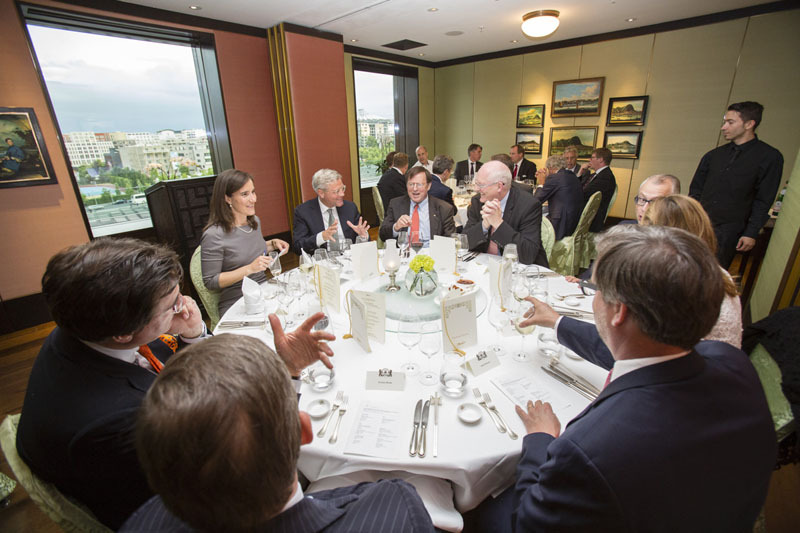 Experts from the fields of economics and finance as well as political and media representatives took part in the discussion. 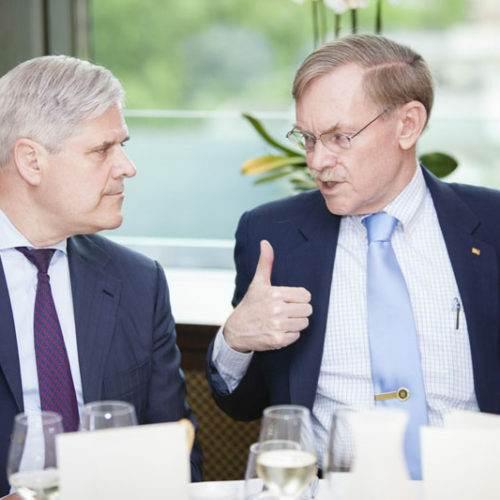 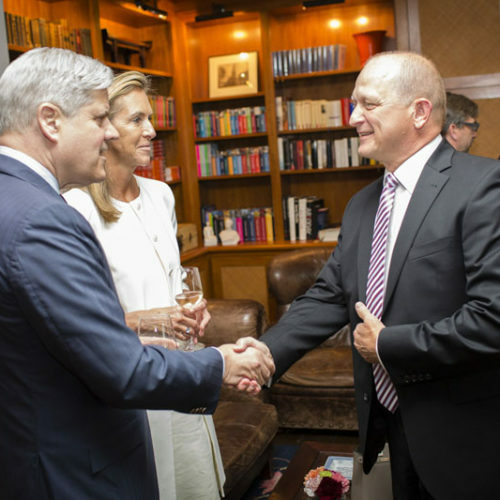 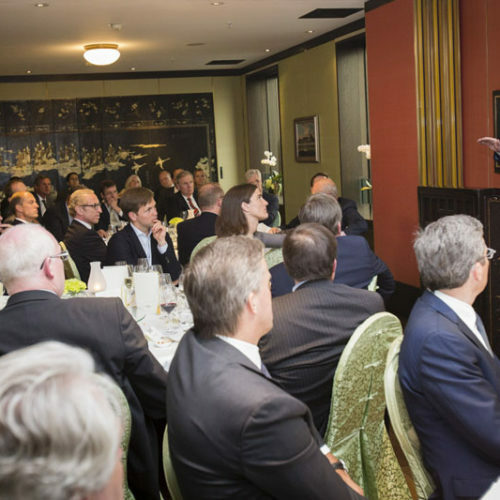 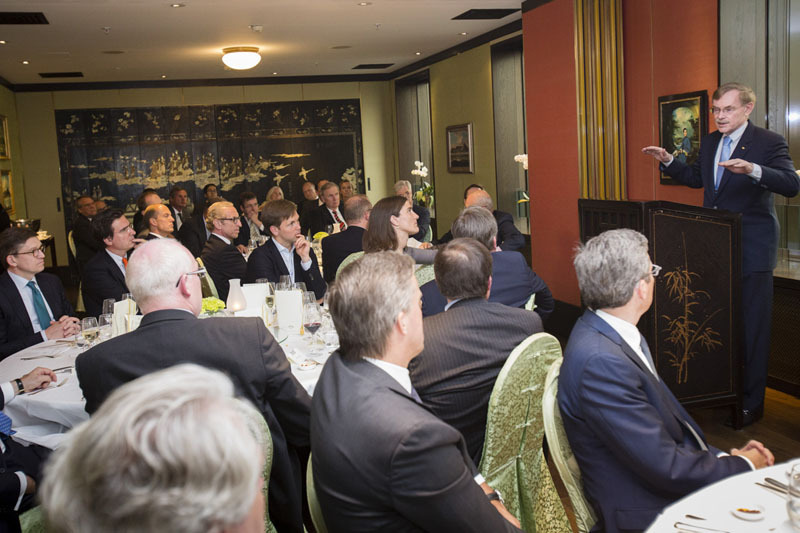 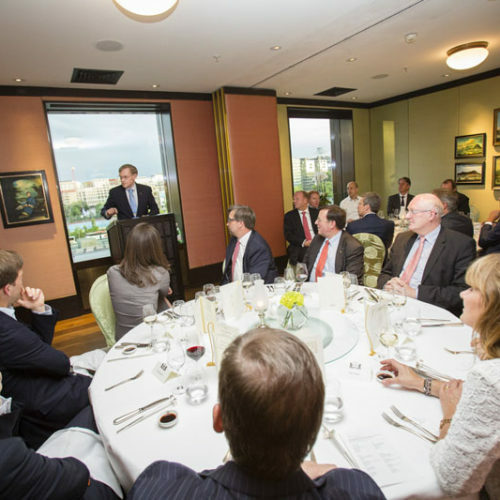 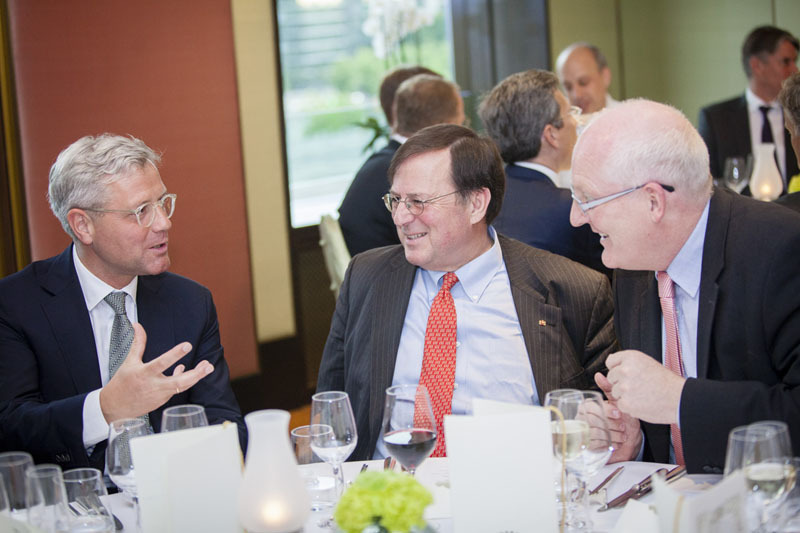 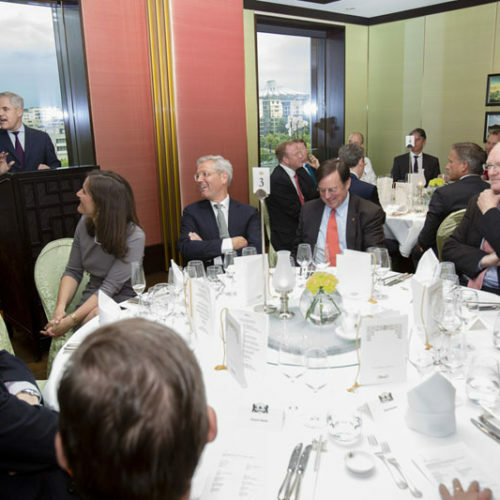 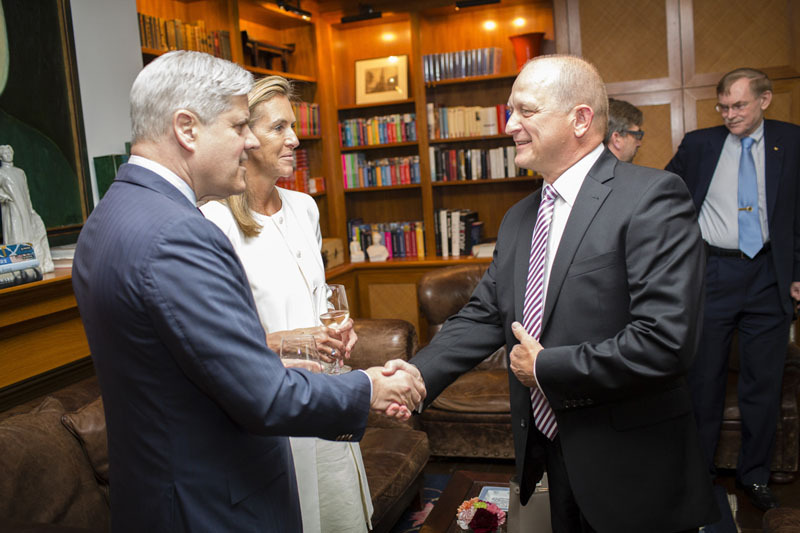 Professor Dr. Andreas R. Dombret, Member of the Board of Directors of Atlantik-Bruecke and Member of the Executive Board of the Deutsche Bundesbank, was the host of the evening. 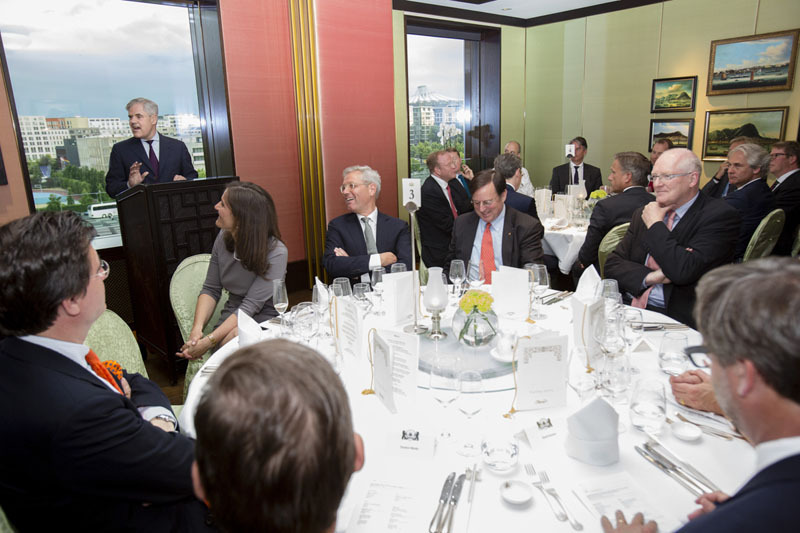 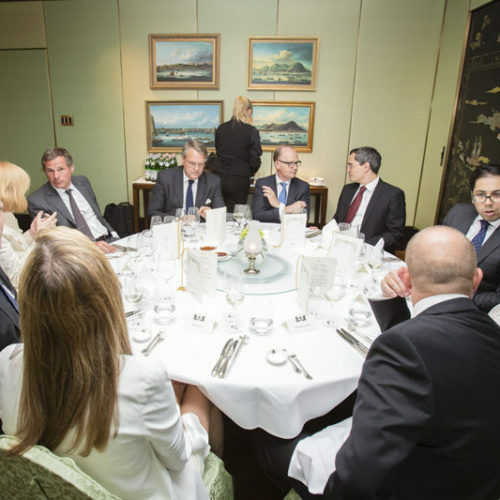 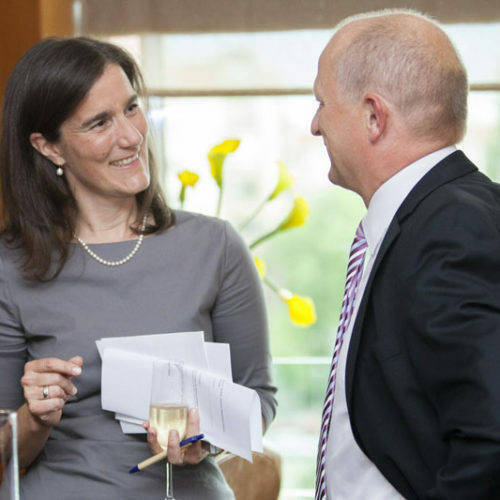 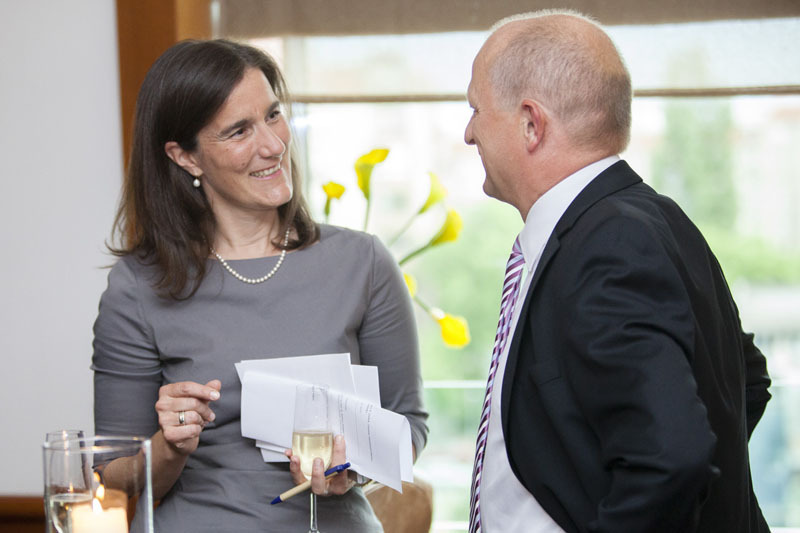 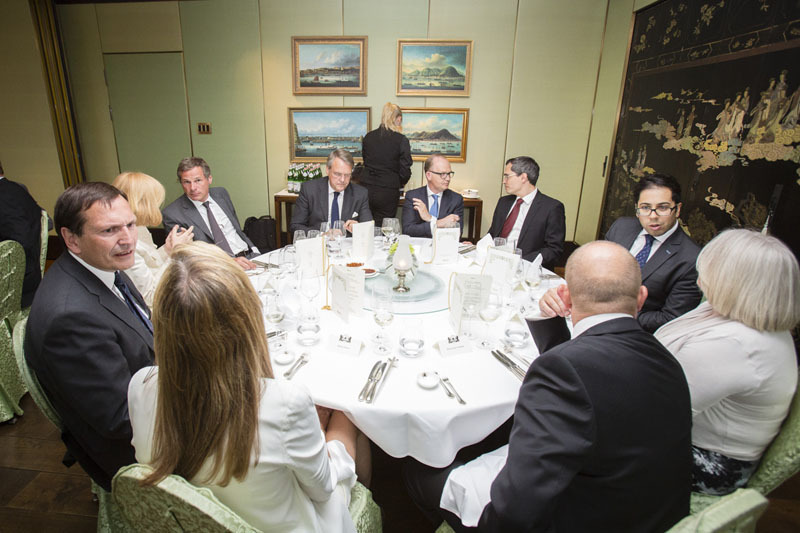 The event was supported by Goldman Sachs.